Decoding Al-Qaeda's Strategy: The Deep Battle Against America. Michael W. S. Ryan. New York, NY: Columbia University Press, 2013. Michael W. S. Ryan, formerly of the Departments of Defense and State, chronicled the evolution of the strategic DNA of Al Qaeda in 2013. Not long after his text was published, a splinter group that called itself the Islamic State would carve out a statelet in Syria and Iraq, and grab international attention with their barbarity. 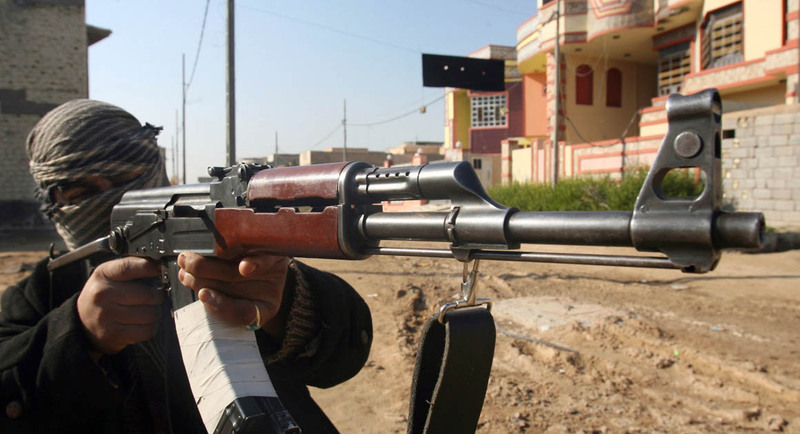 While the international community focused on eliminating the immediate threat to Iraq, the conflict in Syria has continued to rage with other jihadist groups operating alongside, or against, the Islamic State. The book begins with the historical roots of political Islam, particularly the strain within that ideology that is prone to violent uprising. There is then a discussion of the jihadist efforts before and after September 11th, especially as it relates to lessons learned and mistakes made. Ayman al-Zawahiri extols his followers for a new strategy, and the middle chapter discusses the early efforts that were put forward. A reader familiar with the literature on Al Qaeda and the Islamic State would know the broad outlines of these chapters already, but Ryan’s emphasis is on the strategic discussion happening within the movement and is fresh from that perspective. The book provides two major contributions to the study of jihadist strategy. First, it covers a wide range of writers and leaders within the movement, ranging back several decades but with particular attention given to the most significant writers and thinkers. Ryan discusses numerous prominent strategists and operatives within the greater jihadist movement. Several are extensively discussed, including Zawahiri, Abu Ubayed al-Qurashi, Abu Musab al-Suri, and Abu Bakr Naji. Ryan provides a chapter of analysis to each of these last two, noting some similarities in their approach and reference materials. For an analyst, and especially one who finds any of the aforementioned names to be new, the book provides an excellent summary of lengthy writings not always available in English. The second contribution in this book is to definitively chronicle the Maoist impulses of Al Qaeda’s leadership. Quarashi’s sources are instructive in this regard, as he references Sun Tzu, Clausewitz, Mao Tse-tung, Võ Nguyên Giáp, Che Guevara, and Robert Taber, the author of War of the Flea. Ryan argues Abd al-Azziz al-Muqrin, another tactician turned writer, drew inspiration from Taber’s analysis though perhaps via recorded lectures from al-Suri. Naji and al-Suri drew heavily from this author as well as from other leftist guerrillas in Latin America. Naji even went so far as to cite Paul Kennedy’s thesis concerning great powers overextending themselves and hastening their own decline. To these jihad-strategists, guerrilla warfare moves along a continuum of operations depending on the strength of the movement and the readiness of the population—as Mao articulated. Ryan persuasively shows that despite the trappings of shari’ah, Al Qaeda’s most prominent strategists have relied heavily upon secular guidance in their state building projects: “Establishing a shari’ah state, according to Naji, is based on the same universal laws as establishing any other type of state.” He contends this this is a point of ideological weakness that Western powers can exploit, but I am skeptical of that conclusion. After several generations of Islamic insurgents, the movement has appropriated the lessons-learned model with little reluctance. Al Qaeda has reflected extensively on the jihadist movement, particularly on lost opportunities. Al-Suri in particular wrote about Algeria, a text which was lost while fleeing Afghanistan. Many Al Qaeda leaders cut their revolutionary teeth fighting in Egypt and have wrote about those experiences as well. When the Islamic State declared a Caliphate in 2014, it represented a departure from the state-building theory underway in Al Qaeda—one of gradual and pragmatic progress. Al Qaeda seems to have learned its lesson from mistakes in the past and is reluctant to overextend itself before politically and militarily solidified. With the Islamic State now in peril, at least territorially speaking, Al Qaeda’s strategy can return to prominence. Jabhat al-Nusra has rebranded itself Jabhat Fatah al-Sham and severed “external” ties with Al Qaeda in 2016. These seem to be largely political gestures that do not alter the reality of transnational jihadists participating in the conflict in Syria. On the other hand, it is a sign of jihadist pragmatism derived from the study of successful guerrilla movements. Al Qaeda linked militants in Syria wish to portray the conflict as one focused on local politics—and divorced from the global movement, but the reality is much more complicated. Population-friendly measures have been emphasized by the group, apparently the niqab is not mandatory, yet, in parts of Jabhat Fatah al-Sham territory. 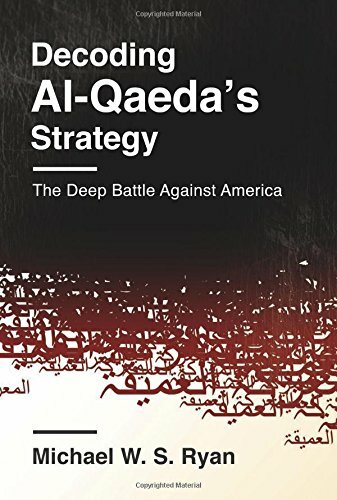 It is worth reviewing Al Qaeda’s strategic DNA, as chronicled by Ryan even now, for insights into what the group and its various factions would seek to achieve if given the opportunity. Ryan demonstrates the extensive research that has gone into developing Al Qaeda’s strategy over the years. He articulates a proposed way-forward for Western interests: contest Al Qaeda’s Salafist ideology by pointing out their extensive references to Maoist and Western strategists. As I noted, I am skeptical that this would be a beneficial approach from agencies within the U.S. at least. But, the value of this book is its message that the flea remains vigorously at work against the dog, even if we would like to ignore that itch from time to time. Chris Zeitz is a former member of the U.S. Army who served in military intelligence. A graduate of the Defense Language School in Monterey and Norwich University with a Master’s degree in Diplomacy, he is a member of the Military Writers Guild. The opinions expressed are his alone, and do not reflect those of the U.S. Army, the Department of Defense, or the U.S. Government. Newer Post#Reviewing What is the Worst That Could Happen? Older PostThe Strategic Calculus of Mass Murder: Why Genocide?